The Regional Conference of the Maoist Parties and Organizations of South Asia, united in the Revolutionary Internationalist Movement, was recently convened in a situation, where, both in South Asia and the world, the opportunities as well as challenges before the Maoist forces are greatly heightened in the context of the emerging new wave of the world revolution and the counter-revolutionary offensive led by US imperialism, the main enemy of the peoples of the world. This is particularly seen in Nepal where the new democratic revolution led by the Communist Party of Nepal (Maoist) has entered a decisive level. After paying homage to the revolutionary martyr, specially mentioning com. Karam of the CPI (Maoist) who was earlier an active participant in previous Regional Conference, the Conference devoted a good amount of time to discuss the situation in Nepal. It reiterated the internationalist solidarity of the Maoist forces of this region with the CPN (Maoist), condemned the blatant intervention and conspiracies of US imperialism striving to preserve the world reactionary state and society, took note of the devious role of Indian expansionism and exposed the reactionary and revisionist propaganda that tries to confuse the revolutionary masses and divert them from the path of revolution. The Conference reaffirmed the Maoist position that a tactical compromise between the Maoist party and the revolutionary forces in one country doesn’t oblige the revolutionary forces in other countries to follow suit and that they should continue with their revolutionary tasks. It called for a broad campaign to support the revolution in Nepal and demand that imperialists and all reactionaries keep their hands off Nepal. The objective situation in the world is favorable for revolution. People’s wars led by Maoist parties in different countries continue to advance, while in Nepal it has advanced closer to the seizure of power. The masses are coming out in struggle and resistance in greater numbers all over the world. In Iraq and Afghanistan, occupation forces led by US imperialism and puppet governments propped by them are getting bloodied heavily, forcing the US to revise its policies. But in the absence of Maoists forces the masses are getting led by reactionary Islamic fundamentalists. The US backed Zionist aggressors were forced to pull back from Lebanon in the face of fierce resistance. In the imperialist countries also, including the US, struggle and mobilization against the war and globalization continue, while the rebellions of the youth and student shook the whole of Europe. In South Asia, apart from armed imperialist globalization and the intensification of exploitation and oppression of imperialism and the reactionary ruling classes has greatly increased the potential to make the countries of this region flaming fields of People’s Wars. 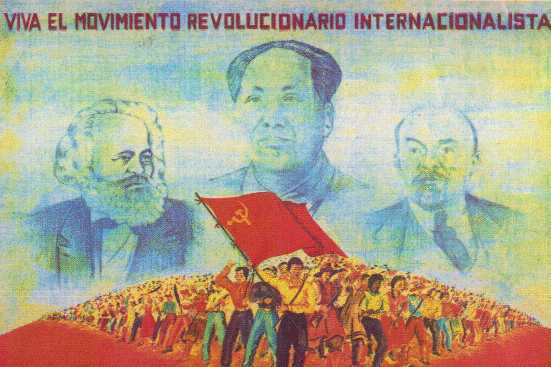 Yet the hard fact remains the subjective international communist movement focusing on the necessity to strengthen it, both at the theoretical and practical level. In this context, one important topic of discussion in the Regional Conference was that of deepening in the grasp of Marxism-Leninism-Maoism (MLM) and developing it by correctly handling the dialectic of theory and practice to make the Maoist more capable of addressing the task of making revolution in the present world. The Regional Conference, strengthened by the participation of the Communist Party of Afghanistan (Maoist) and Communist Party of Bhutan (MLM), concluded with the firm determination expressed by all the participating parties to push ahead in shouldering their revolutionary responsibilities and further strengthen the capacity of the Revolutionary Internationalist Movement to carry out its role as the embryonic centre of the world’s Maoist forces.